This year’s election is not the first fraudulent election the country has experienced. An assess of the structure of power and the behavior of Afghanistan's elites vis-à-vis democratic forms of power. The hype surrounding the success of the first round of Afghanistan’s presidential election of 2014 has evaporated in the wake of its contested second round, which after months of wrangling finally produced a result: a government of national unity. Ashraf Ghani is the newly-elected president of the country. His main rival, Abdullah Abdullah, is to be appointed as the Chief Executive by Ghani through a presidential decree. Subsequently, within the next two years, the constitution will be amended to create a prime ministerial position. Based largely on the assumption that Afghanistan’s national institutions are weak and ineffective, those who observed the Afghan elections of the post-Taliban era had already foreseen a fraudulent and contested election. While the absence of strong institutions is an impediment in conducting free and fair elections, the main problem is that the actors or agents (elites) have not “agreed” upon the “rules of the game” (institutions) in their entirety. Institutions are supposed to define, clarify and consolidate power distribution and contestation arrangements – which they have not in the case of Afghanistan. Now the question is: are elections the right mechanism for contesting power in Afghanistan? Elections have formed the bedrock of the democratic form of governance implemented by the so-called international community in post-conflict countries. The idea was first coined by Boutros Boutros Ghali and Lakhdar Brahimi in “An Agenda for Peace: Preventive Diplomacy, Peacemaking and Peacekeeping”  and the “Report of the Panel on United Nations Peace Operations (The Brahimi Report)” respectively and has been applied extensively around the globe since early 1990s. Despite elections being part Afghanistan’s political narrative for a long time, there is a lack of genuine commitment to the electoral process on the part of elite. This year’s election is not the only fraudulent election the country has experienced. Every single election conducted since 2004 has been fraught with fraud. So why are Afghanistan’s elections so problematic? The answer is not that simple but there are a few obvious explanations. One way to identify the electoral problems of this war-torn country is to assess the structure of power and study the behavior and actions of its elites vis-à-vis the democratic form of contestation of power. Afghanistan’s current elite is a culmination of a half a century of power struggle. In its current form, the setup is probably the broadest formation of an elite in the history of the country. 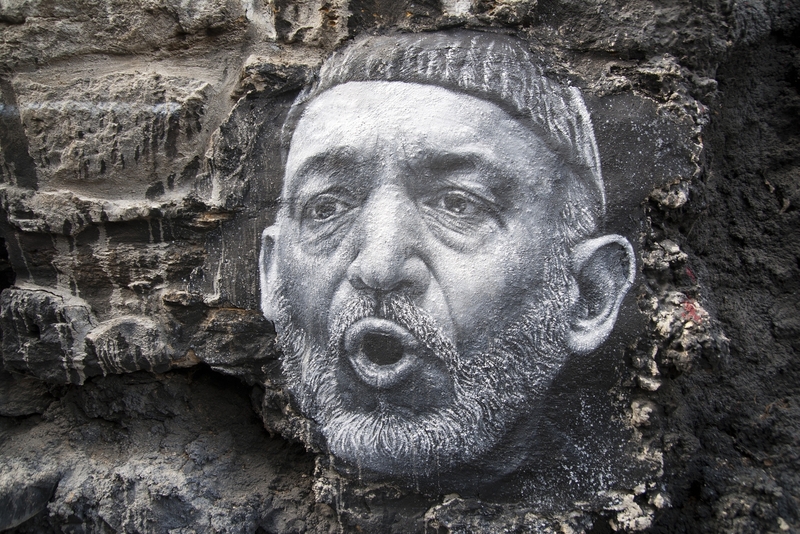 Hamid Karzai has had a solitary vision for Afghanistan – a country that is a home to everyone. Afghanistan’s polity is a testament to that since it includes members of all groups from the former communists to the Mujahideen, to the so-called technocrats, and even the Taliban. But it is still an arrangement that in John Schwartzmantel’s words denies “the possibility of popular sovereignty”. It is a setup that gives elites unmatched power compared to the citizenry at large. The Bonn I Conference provided the first template for a power-sharing deal in the aftermath of the Taliban defeat. The conference brought together leaders of all warring factions – barring the Taliban – but including the former Northern Alliance, the Rome Group, the Peshawar Group and the Cyprus Group. But decisions taken in the conference lacked the support of the Afghan population as the conference was not preceded by any public consultation, nor were Afghans taken into confidence by their leaders. Subsequently, the Emergency Loya Jirga (grand assembly) in 2002 endorsed the same elite to run the country until a constitution was drawn up and the presidential and parliamentary elections were held. The constitutional process was dominated by a few powerful members of the Afghan elite, chiefly Karzai, the head of the Transitional Government, who in cahoots with the Americans made sure the constitution gave the next president immense powers, thus, inadvertently or not, creating a setup that decidedly favored the elites. In short, the main winners of the current system are the former Mujahideen commanders or the so-called former warlords, as they have come to be known, and the technocrats “who are either Afghan returnees from the west (some, but not all with links to the four groups represented at the Bonn I Conference); or prominent individuals from the Afghan NGO community that was mainly based in Pakistan with operations in Afghanistan prior to the collapse of Taliban rule”. So, if elites have become so disproportionally powerful and the contestation of power has been confined to elections – at least on paper, can Afghanistan be called an “elite democracy”? The answer to this question is central to deconstructing the reasons behind the troubled elections. Scholars of elitism have come to see democracy as a sham or in Joseph Femia’s words an “imaginary dream” that only creates the illusion that the people or the masses are the main decision-makers through participating in political undertakings and political institutions. Femia calls it “exercises in futility”. In effect, many “embedded democracies” around the world are elite democracies in which elites make people believe their government is by the people, for the people and of the people. To respond to this situation, the elitist theorists of democracy have reduced a “radical” doctrine - democracy in its classical sense - to a conservative one. Gaetano Mosca and Robert Michels conclude that democracies are mere competitions between elites or as Vilfredo Pareto calls them “demagogic plutocrats” who have managed to distort voters’ interests and limit their choices significantly. "A mixture of fear and reward"
By comparison, classical democracy puts the emphasis on the citizen or individual human as a unit whose development is the primary function of the democratic system. The citizen in turn is active, informed, democratic and aware of his moral and social responsibilities. The elitist theorists contest this concept as dangerously naïve and unrealistic because it overlooks a number of factors, most crucially, “demagogic leadership, mass psychology, group coercion and the influence of those who control concentrated economic power” . Afghanistan’s presumably democratic setup has two major flaws. First, there is only partial belief by its elites in democracy. For an elite democracy to function, there has to be an uncompromising and comprehensive inter-elite consensus over the democratic form of contestation of power. Secondly, Afghan elites have failed to generate some measure of responsiveness to the opinion of the “apolitical clay” or masses. Afghan elites fear that, once out of power, they will not only be unable to make a comeback but may also face extreme persecution at the hands of rivals, as is evident by Afghanistan’s history. As a result, they have exercised very little responsiveness to the aspirations of the population at large. Western elite democracies are “benign elite democracies” because their elites are “public-minded and public-regarding” . In contrast, the Afghan elites are highly “self-centered” and “predatory”. An Afghan laborer interviewed by Tolo TV on September 17, 2014 regarding the implications of this year’s lengthy electoral process described his country’s elites as follows: “Those in power, whose houses are protected by blast walls, have bulletproof cars, whose children go to school in a bulletproof car with bodyguards and who have filled their domestic and foreign bank accounts with dollars, hardly feel the consequences of election stalemate”. This description fits the traits of “predatory” leaders who constantly seek external rent; concentrate power in personal rule and use it to discreetly control economic resources for personal gain with no commitment to common good; ruthlessly apply coercion and repression to gain and maintain power; and “use a mixture of fear and reward as a means of retaining the loyalty and considerable brutality and exclusion as the means for punishing opponents or competitors”. Therefore, the current Afghan political setup can, at best, be called a malfunctioning and incomplete elite democracy and, at worst, a pseudo-democratic, predatory machine. Whatever the nature of the Afghan polity, there existed until recently an implicit consensus among the Afghan elites to at least preserve the current Afghan state. That consensus has been shaken up by successive fraudulent elections. There also existed a single power elite “beneath the surface appearance of democratic diversity” until the presidential election of this year. Thus, unless the Afghan elites create a consensus over the form and mode of contestation of power and mend the faulty setup, the current election impasse will continue unabated, becoming graver over time and morphing into new crises. All political leaders strive for power. In this quest, they prefer to hold an elected office to avoid getting arbitrarily removed. Of the public offices, those that come with executive power, making elites “executive leaders” or “chief executives”, are more attractive to politicians. Such positions give them ample authority to not only devise and implement policy but also exercise greater power over societal commodities, economic resources and the political setup. By holding an executive office, elites can mainly exercise four forms of political power within the modern state: “political coercion, political authority, political influence and political manipulation”. In other words, elites enjoy the highest level of control over others when they are executive leaders. Expansively organized executive leadership is crucial for creating stable polities as power is more widely distributed and contested, giving a share to most elites and political groups. Jack Walker credits the non-hierarchical nature of the US polity for ensuring an inherent stability and for constraining adventurous or “creative” leaders who could derail the fundamental principles on which the polity is based. Afghanistan’s current formal polity is the extreme opposite of the above. Its constitution provides for only one executive elected office at the national level - the presidency – while the two vice presidents only exercise executive authority in the absence of the president. According to Paul Collier, this is in addition to the fact that the situation in the countries of the “bottom billion” dictates that sovereignty is accumulated around the position of the presidency rather than the state at large. Sovereignty is essentially presidential in these countries. A lot has already been said and written about decentralization and devolution of power and the mistakes made by the Americans and Karzai in promoting a highly centralized political system in Afghanistan. Regardless, it is pertinent to note that the main reason that presidential elections are so fiercely contested in Afghanistan is that the appointments to all other executive positions at both national and sub-national levels are made by the president. All government positions equivalent or above the departmental directorships (civilian) and brigadier general’s rank (military) are required to go through approval by the presidency. According to a former minister, cabinet meetings in the early years of Karzai's rule would witness far more debate, disagreements and even dissent. In the later years of his presidency, Karzai overruled ministers at will as he gradually purged his cabinet of strong personalities. In that respect, the Afghan presidency is a disproportionally powerful hierarchical position in a vastly egalitarian society. This structural flaw is one of the reasons behind Karzai becoming the most powerful politician in the past 13 years. Moreover, the president’s power and authority is not limited to the formal aspect of institutional arrangements and has a distinctive aspect of political manipulation of informal structures. When Afghanistan’s former first vice president, Qaseem Faheem, passed away earlier this year, the mantle of leadership in his community – an informal position – was passed on to his eldest son by Karzai in a nationally-broadcast televised ceremony. In this way, Afghanistan’s presidency reduces local leaderships’ dependence on legitimacy within their communities, and undermines the traditional accountability and transparency mechanisms. The practice is reminiscent of the policy of the colonial powers in the 19th and 20th century who to a large extent absolved local leadership in Asia, Latin America and Africa from local legitimacy, dealing a decisive blow to local power arrangements. This partly explains Abdullah and his allies’ insistence on being part of the next government and that some authorities of the president should be delegated to the position of the Chief Executive. He and his allies have seen the writing on the wall. Without holding “high offices in the legally-sanctioned state”, they will gradually become irrelevant. The Afghan constitution does provide for elected mayors, something that has received scant attention. Latest figures reveal that between 25-30 percent of the Afghan population dwells in one of the five major urban centers of Kabul, Mazar-e-Sharif, Jalalabad, Herat and Kandahar. The ignominy of not holding a single mayoral election in the past 13 years is baffling. Becoming elected Kabul mayor will be an attractive prospect for up-and-coming as well as seasoned politicians. Consider this: Haneef Atmar and Amrullah Saleh, arguably two of the most capable cabinet members of Afghanistan, were fired by Karzai in 2010. Four years down the line, they are still out of the executive power, despite being at prime age to serve in public office. The national unity government deal may give them a chance to be part of the cabinet once again but it will not protect them from being dismissed whenever the president wishes to do so. Also the popular MP and sacked former minister, Ramazan Bashardost, would be a viable choice for the Kabul municipality if the election were held today. By holding municipal elections, power would be automatically devolved for 30-40 percent of the population. It is interesting indeed that every time there is talk of devolution and decentralization, what's proposed is a change of constitution rather than its full implementation. Municipal elections will not be without problems. The issues of urban revenue, the allocation of development funds from the national budget, policing, and urban management and development will take years to be agreed upon between the central and city powers. City boundaries need to be identified so that provincial governors and mayors have clarity on what areas come under their respective jurisdictions. However, none of these dilemmas should not stand in the way of conducting municipal elections, which according to the constitution should anyway take place at some point. In the run-up to this year’s presidential election, Karzai refrained from publicly endorsing any of the candidates. His presumed choice, Zalmay Rasool, proved unelectable. Had Kabul city had an elected mayor already, that person could well have been seen as a natural successor to Karzai. Capitals or major cities produce presidents all over the world - take the recent examples of Mahmoud Ahmadinijad of Iran or Nicolas Sarkozy of France. A capable and yet electable mayor from any of the five major cities would naturally be seen as a strong contender for the presidency in Afghanistan. A number of Karzai's former aides, cabinet members and local leaders claim to have the potential to lead the country. In fact, a surprisingly big number of young Afghans aspire to preside over their country one day. Municipal elections would not only provide the opportunity for them to test their abilities to run a successful campaign but also prove their electability. There's a lot of hype around politicians like Amrullah Saleh, Haneef Atmar, the current education minister Farooq Wardak, or human rights activist Nader Nadery. They may have proved to be effective managers or convincing orators but are they electable? This can only be answered if they have the opportunity to run for a public office that in their view is worth it. In the western province of Herat, there is a constant tussle between liberal and conservative forces. There is also an urban and rural divide. Herat's mayoral position has been hotly contested. Several liberal groups' campaigns to have their representatives appointed have fallen flat. As a major cultural and knowledge center, Herat deserves to have the position put forward for election. It will also give a strong indication of the true political inclination of the city. On the other side of the country, in the southeastern province of Paktika – a multi-tribal, predominantly Pashtoon province – one major tribe, Zadran, is neither represented in the lower nor the upper house of parliament. Nor are there many notable Zadran appointees in the national government. In 2005 its chief lost the election to parliament due to widespread ballot-stuffing. In the same year, two representatives from each of the Kharoti and Sulaiman Khel tribes made it into the Afghan parliament. Zadrans have experienced constant exclusion due to a flawed and broken system. With municipal elections, they could at least become part of the local power-sharing arrangements. Most importantly, the leader of the notorious Haqqani insurgent network, Jalaluddin Haqqani, comes from the Zadran tribe. By creating alternative sources of power for his fellow tribesmen his influence within the tribe could partly be curtailed. Many women and young leaders have come to the fore in the past 13 years. However, many of them remain at the mercy of a setup that is dominated by old men. Young leaders, adept at the use of technology and modern methods, could shake up this archaic setup. Municipal elections could also serve to cream off the best of a number of young presidential aspirants. The deal to resolve the current impasse lacks structural guarantees to ensure that either side, or Karzai’s government, abides by its terms. If Ghani reneges on what is perceived by the Abdullah camp to be an inclusive government, there will certainly be another crisis. Neither the deal nor any other mechanism guarantees that both camps will continue to respect the deal in future and that the national unity government will not fall. To have a sense of why official appointments are so crucial, one need not look further than the example of Governor Atta Mohammad Noor. As the governor of Balkh province, he controls major economic endeavors in the province, he has absolute political power, he rejects appointments from Kabul while even wielding some influence in Kabul. Noor has not only supported Abdullah but is also the main financier of his campaign. Noor gradually wrenched control of Balkh from Abdul Rasheed Dostum, Ghani’s first vice president, over the course of twenty years. Dostum used to have undisputed control not only over Balkh but a number of northern provinces, especially those with majority Turkic population. In fact, Noor was his deputy for some time in the 1990s. It is inevitable that Ghani’s presidency would pose a serious challenge to Noor’s interests. If Noor loses the governorship of Balkh it would mean immense losses in both economic and political terms to him. Had the position of governor been an elected one, the scenario would not have frightened Noor so much or, alternatively, the lucrative border township of Hairatan and the city of Mazar could have elected mayors who by all probability would be pro-Noor if elections had been held in the past few years. By the same token, in order to implicitly blunt Karzai’s presumed spoiler role in the current impasse, he could be enticed into getting his protégés elected across southern Afghanistan, crucially the city of Kandahar, or even Kabul. Overlords such as Gul Agha Sherzoi, Ismail Khan, Abdul Rab Rasool Sayyaf or parties such as Afghan Millat, Hizb-e-Islami, and even the Taliban would be in a position to take control of certain cities and towns, resulting in the restructuring of power arrangements and relations. Therefore, a structural and long-term approach to address Afghanistan’s electoral failings by taking steps such as holding municipal elections would be more sustainable and prevent the country from regressing into crises such as the recent electoral impasse, or even an all-out civil war. Bavister-Gould, Alex (2011) "Predatory Leaderships, Predatory Rules and Predatory States”, Concept Brief 01 (Developmental Leadership Program). Birch, Anthony. H (2001) Concepts & Theories of Modern Democracy. 2nd Edition (London, Routledge). Boersema, David and Katy Gray Brown (2006) Spiritual and Political Dimensions of Nonviolence and Peace (Amsterdam and New York, Rodopi B.V.). Burns, J. M (1978) Leadership (New York, Harper & Row). Collier, Paul (2009) Wars, Guns and Votes: Democracy in Dangerous Places (London, The Bodley Head). Dahl, Robert A. (1961) Who Governs? (New Haven, Yale University Press). Daud, Malaiz (2008) Leadership for Reconstruction: An Examination of Afghan Political Leaderships Traits and Actions in the Post-9/11 Scenario (York, University of York). Dye, T.R. and Zeigler, H. (2006) The Irony of Democracy: An Uncommon Introduction to American Politics (Belmont, Thomson Wadsworth. Endoe, C.). Femia, J. (2001) Against the masses (London, Oxford University Press). Helms, Ludger (2005) Presidents, Prime Ministers and Chancellors: Executive Leadership in Western Democracies (New York, Palgrave Macmillan). Itoh, Hiroshi (2010) The Supreme Court and Benign Elite Democracy in Japan (Surrey, Ashgate Publishing Limited). Leftwich, Adrian (1983) Redefining Politics? (London, Methuen & Co. Ltd). Leftwich, Adrian (1994) "The Developmental State”, Working Paper 6 (York, University of York, Politics Department). Leftwich, Adrian and Chris Wheeler (2011) "Politics, Leadership and Coalitions in Development: Findings, insights and guidance from the DLP’s first Research and Policy Workshop, Frankfurt 10-11 March 2011”, A Research and Policy Workshop Report (Developmental Leadership Program). Merkel, Wolfgang (2004) “Embedded and Defective Democracies”, Democratization, 11(5), pp.33–58. Michels, R. (1915/1962) Political parties (New York, The Free Press). Mosca, G. (1923/1939) The ruling class (New York, McGraw Hill). Pareto, V. (1915/1935) The mind and society: a treatise on general sociology (New York, Dover). Schwarzmantel, John (1994) The State in Contemporary Society: An Introduction (London, Harverster Wheatsheaf). Walker, Jack L. (1966) “A Critique of the Elitist Theory of Democracy”, The American Political Science Review, 60(2), pp.285—295. 2014 is viewed as one of the most important years since the Afghan transition process began, over a decade ago. Western troops are being drawn down and more importantly, the first presidential and provincial elections autonomously organised within the country, will present a further important step within the political transition process. This dossier provides analyses, profiles, interviews, as well as studies that will shed light on the events of what is an important year for Afghanistan. Democracy as a form government in a country like Afghanistan is yet to prove to be the right form of government. Why must countries be formed under democracy? Monarchy has worked as well as democracy. Shifting government structures from monarchy to democracy (that is suppose to be better, but new) will only cause that country to be or become weaker as it cannot adopt democracy overnight. Why is it expected for Afghanistan to be fully functioning as a democracy in 13 years while Pakistan over the last 60 years could not achieve half of what Afghanistan has? To assume that mayoral election will solve the problem in a country that is living off of donations is just a weak and baseless argument. Not to mention that elections are expensive and mostly at the cost of the poor. Afghanistan's current election issues were not created only by the elites or power seekers within Afghanistan. You fail to mention the influence that the US, EU, UN, Pakistan, Saudi Arabia, the Emirates, Iran, India and other interested countries have over Afghanistan. You fail to mention why the US and other international donors etc. wasted so much money in the name of State building while creating the new elite class in Afghanistan. You fail to point fingers at the CIA, ISI and Al Queda for placing their agents that only supports their agendas that are not in line with Afghan people or government's agenda. I am not sure how monarchy, in general terms, is better than democracy. Whilst either one could embed both positive and negative trends in one aspect or another, democracy certainly has an edge when it comes to sharing political power. Secondly, monarchy in Afghanistan was abolished in 1973, that is 41 years ago. It was brought down by a member of the royal family with the help of an array of new actors thirsty for a shot on power. While a good number of Afghans - southeastern Pashtoons in particularl - were keen to revert to constitutional monarch in the beginning of the post Taliban-era, it was fiercely opposed by most of the political groups and elites. Thirdly, any political transition - be it absolute monarch to democracy or the other way around renders state institutions weaker. Michael E. Brown, in his much celebrated book, Nationalism and Ethnic Conflict, writes: "Internal conflict is especially likely if a political transition is under way. The latter can take many, forms including democratisation, which can be destabilising in the short run even if it promises stability in the long run". Fourthly, I can't find where I have asserted the democracy can be achieved overnight. We shouldn't forget that it has been part of our political practice and narrative since the 1960s, so it has been a good half a century. We have been dependent on western rent since 1809 - there is no denying - and so are many other democracies. How that bars us from having a democratic system should be explored. On the issue of election costs, I think it would make more sense to pay for municipal elections than provincial councils' elections. In the latter, I had given specific examples with the names of individuals, the foreigners, involved in fishy practices. They were omitted for some odd reasons.